BALTIMORE (AP) — The Baltimore Orioles will continue their rebuilding project without manager Buck Showalter and executive vice president of baseball operations Dan Duquette, who were fired Wednesday after the team finished with the worst record in the major leagues. With Duquette procuring the talent and Showalter making it work on the field, Baltimore snapped a run of 14 straight losing seasons and made the playoffs in 2012, 2014 and 2016. But the Orioles finished 75-87 in 2017 — losing 19 of their final 23 games — and this year staggered through a 47-115 season, the worst since the team moved to Baltimore in 1954. The club issued a statement Wednesday night that read, in part: "We thank Dan and Buck for their many contributions over the past several years. Under their leadership, prior to the 2018 season and for six consecutive years, the club delivered competitive teams playing meaningful baseball into September. ... Everyone in Birdland and across our organization will cherish these memories, and we all join in thanking Dan and Buck for their contributions." Showalter and Duquette have contracts that expire at the end of October. "It was decided that they would not renew my contract, and I think that's for the best," Duquette said in an interview with The Associated Press. "I want to thank (owner) Peter Angelos for the opportunity to lead the Orioles. We had some very good seasons, and I'm proud of what we did here." A three-time AL Manager of the Year, Showalter ranks second on the Orioles' career list with 669 victories, trailing Earl Weaver. He took over in August 2010 and orchestrated the resurgence of a floundering franchise. Once hailed for making baseball in Baltimore relevant again, the 62-year-old Showalter is out of a job after a season in which the Orioles finished 61 games behind Boston in the AL East. 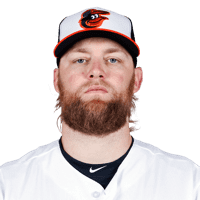 Before opening day, Duquette signed free agent pitchers Alex Cobb and Andrew Cashner. He also spurned trade offers for pending free agent Manny Machado with hopes that the Orioles could be a contender in 2018. It never happened. Baltimore went 8-20 in April and owned a 19-50 record on June 16. Just over a month later, before the July 31 non-waiver trade deadline, Duquette tore apart the roster by swapping Machado, Zach Britton, Jonathan Schoop and several other veterans for 15 minor league prospects and international signing bonus slot money. "Nobody could have anticipated the season would go as it did," Duquette said Wednesday night. Duquette began the rebuild, but he won't be around to see it to the finish. Director of Player Development Brian Graham will handle day-to-day oversight of baseball operations while the Orioles search for Duquette's successor. Showalter earned AL Manager of the Year honors in 2014 after taking the Orioles to the AL East title and a berth in the Championship Series. He was also chosen Manager of Year with the Yankees in 1994 and Texas in 2004. His career record is 1,551-1,517, including 669-684 with Baltimore. "I just think ever since he came here, the franchise just gained a little more accountability, gained an edge for some time," Orioles outfielder Adam Jones said before the final game of the season. "It's the end of an era. A great manager, a great tenure. I don't know if he's going to coach or manage again, but he's got grandchildren. Go golf. Relax and go sit on the golf course." Duquette joined the Orioles in November 2011. Baltimore reached the postseason in 2012, the first of five successive seasons in which Baltimore finished at least .500. Duquette's tenure in Baltimore featured the crafty signing of free agents Nelson Cruz and Mark Trumbo, both of whom led the majors in home runs with the Orioles. 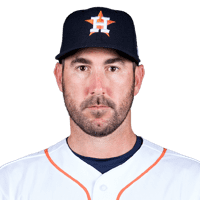 But Duquette also signed right-hander Ubaldo Jimenez, who went 32-42 over the length of a four-year, $50 million contract, and Baltimore is still paying the price for the seven-year, $161 million deal offered to slugger Chris Davis before the 2016 season. Duquette replaced Andy MacPhail as Baltimore's overseer of baseball operations. 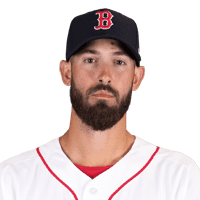 Before that, the 60-year-old Massachusetts native enjoyed successful tenures with the Boston Red Sox from 1994-2001 and the Montreal Expos from 1987-93. The Red Sox reached the playoffs three times under his guidance. The Orioles say they will hire an executive from outside of the organization to lead the baseball operations department. That person will be in charge of choosing a new manager. BOSTON (AP) — Fenway Park gave the Los Angeles Dodgers the cold shoulder. "It's going to be warmer, and hopefully our bats get hot, too," Cody Bellinger said . "We've got a tough road ahead of us, man," Matt Kemp said . MINNEAPOLIS (AP) — The final afternoon of the regular season for the Minnesota Twins was filled with cheers, chills and even a few tears as a lively crowd at Target Field was treated to a meaningful and memorable game . Too bad for the Twins and their fans the playoffs weren't at stake. They had to settle for a Joe Mauer tribute , the probable end to a 15-year major league career for the smooth-swinging, six-time All-Star and one of the best athletes the state has ever produced. The first big news of what will be a busy fall and winter in Minnesota will likely be the announcement from Mauer about whether he will continue his career at age 35. The sentimental scene on Sunday as the Twins beat Chicago to finish with a season-best sixth straight win left little doubt he's done. "Either way, it's a good decision, you know? I can either play, or go home and be with my girls," Mauer said before hitting a double and donning the catcher's gear one last time for a ninth-inning curtain call. The end of this year was already going to be pivotal for the Twins. Not only does Mauer's $184 million contract expire, but a bunch of other important players are also coming off the books. Several of them, with Brian Dozier and Eduardo Escobar leading the list, were traded away this summer once the front office concluded the 2018 roster was not strong enough to contend. "We see teams that have closed the gap very hurriedly this year. Oakland jumps out," Twins manager Paul Molitor said. "So, yes, you go into it knowing it might be different but still optimistic about what you can do to get it done." Fernando Rodney proved to be a valuable addition at age 41 with 25 saves and a 3.09 ERA, faring far better than the other acquisitions — Morrison, Reed and starting pitchers Lance Lynn and Jake Odorizzi. 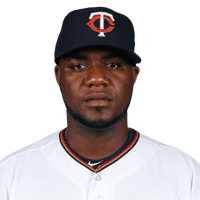 Rodney wasn't spared in the roster purge, leaving the Twins without a closer. Trevor Hildenberger was handed most of the opportunities, but he stumbled badly down the stretch with a 9.00 ERA and seven home runs allowed in 27 innings after the All-Star break. Jose Berrios and Kyle Gibson give the Twins two established starting pitchers for 2019, with the 24-year-old Berrios carrying clear potential for further growth into one of the game's best. 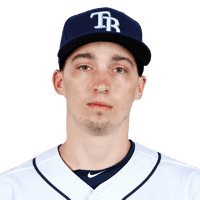 Odorizzi will probably get another opportunity, with the durability of 32 starts he made this season his best debut contribution. There's plenty of space for a newcomer in free agency or by trade, with Kohl Stewart, Stephen Gonsalves, Fernando Romero, Zack Littell and Chase DeJong among the prospects under consideration for the rotation when spring training starts. "The jury's out on in terms of who of these guys are going to emerge," Molitor said. The knee injury that ended Castro's season early gave Mitch Garver an extended audition as the regular catcher, and he made significant strides both with the bat and behind the plate. Byron Buxton's injuries, inconsistency and eventual banishment to Triple-A created an unexpected role for rookie Jake Cave, whose on-base-plus-slugging percentage (.797) trailed only Escobar and Eddie Rosario among regulars. "He's a pretty cool customer," Molitor said. "I think the change of roles early in the year and getting back to later in the games, it just doesn't seem to faze him whenever I use him." SAN FRANCISCO (AP) — The way the last two seasons have gone for the San Francisco Giants, those three World Series titles in 2010, '12 and '14 seem so long ago for manager Bruce Bochy's club. The Giants finished 73-89 following a season during which the biggest names — Madison Bumgarner, Buster Posey, Johnny Cueto, Brandon Belt — were all injured at some point. They traded Andrew McCutchen to the Yankees in late August amid all the disabled list stints. 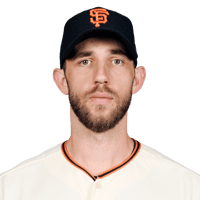 San Francisco struggled to score runs and went a majors-worst 5-21 in September but improved on its last-place 2017 finish of 64-98 by nine wins during a second straight season in which pitchers Bumgarner and Cueto were sidelined for long stretches, and reliable right-hander Jeff Samardzija got hurt, too. Cueto had Tommy John surgery in August, Posey underwent season-ending hip surgery later that month then first baseman Belt underwent season-ending right knee surgery in September. "We've been one of those lineups that needed all hands on deck," said Brian Sabean, the executive vice president of baseball operations. He didn't want to speak about how the roster might shape up this winter until new hires are made in the front office. Change is coming. A new general manager is set to be hired to replace Bobby Evans, who will be reassigned after he was dismissed last week. President and CEO Larry Baer said preliminary conversations have begun. "We don't know who that person is now. But he's the guy who'll be making decisions," Bochy said. "I understand that. Whatever he wants to do, whether on the field, my job is to make it work. I think it's wait-and-see what we do there." The first big blow came when Bumgarner broke the pinkie on his pitching hand when he was hit by a line drive from Kansas City's Whit Merrifield in his final spring training start. The 2014 World Series MVP had surgery to insert pins into the finger. "Really what's unfortunate is when he got hurt in spring training," Bochy said. "I think he's come back and he's thrown some really nice games." Bumgarner is considered one of the Giants' hardest workers, but his return isn't a guarantee. "I don't know that there's anything to address just yet," Bumgarner said after his final start Friday. "We'll see what happens or what don't happen. I don't really know." Bochy expects his ace to return to top form next season. "No doubt in my mind," Bochy said. The lefty ace missed nearly three months last year following a dirt bike accident during an off day in Colorado. Bochy hoped a strong showing in the final weekend would provide his group with a boost heading into the offseason. Instead, it was a bust — a 15-0 defeat to the Dodgers on the final day. Still, Bochy noted: "With what we've been through and even though we're a little nicked up and missing some pieces right now, they know they can play with anybody." Outfielder Hunter Pence is unlikely to return to San Francisco after 6 1/2 seasons in the Bay Area as a fan favorite. He had his farewell day during Sunday's loss, waving and tipping his clap for multiple standing ovations throughout the game. The 35-year-old Pence plans to play winter ball and reinvent himself with the hopes of playing in 2019. "I still love it and I'm still healthy," he said. Rookie Dereck Rodriguez (6-4) was a bright spot for a pitching staff that had to overcome struggles by the offense. He was winless over his final seven starts since defeating the Pirates on Aug. 12. Rodriguez's 2.81 ERA with a minimum of 100 innings pitched ranks lowest in San Francisco history for rookies. The Giants lost his last seven outings and nine of 11. Giants closer Hunter Strickland broke his pitching hand punching a door in frustration after blowing the save in a 5-4 June defeat to the Marlins and then required surgery. He never was the same when he returned. A year ago, San Francisco finished last in the NL West at 64-98, just missing the franchise's first 100-loss season since 1985. The Giants improved by nine wins despite all the injuries. "It's not as bad as the perception let's say of this last 25 games. When you're virtually having to roll out — I hate to say — a split-squad lineup against playoff teams, that's what our roster ended up being because of all the attrition," Sabean said. Adam Wainwright's contract with the St. Louis Cardinals has been put on hold because it violates the maximum-cut rule, and the pitcher will have to become a free agent before the agreement can be finalized, people familiar with the deal told The Associated Press. St. Louis announced the agreement with the 37-year-old right-hander on Oct. 11. He has finished a $97.5 million, five-year contract that paid $19.5 million annually. Under baseball's labor contract, his guaranteed salary could not be reduced by more than 20 percent if he remains on the roster continuously. That means he would have to be guaranteed at least $15.6 million. His new deal contains a salary less than that figure, people familiar with the agreement told the AP, speaking on condition of anonymity because the deal had not been finalized. 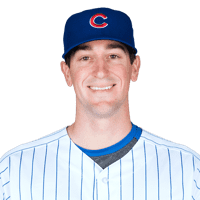 The maximum-cut rule would not apply if he becomes a free agent following the World Series, and then agrees to the new deal with the Cardinals. Wainwright was 2-4 with a 4.46 ERA in eight starts this year, sidelined by hamstring and elbow injuries. He pitched four times in September. 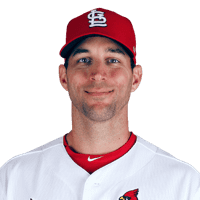 A three-time All-Star, Wainwright is fifth on the Cardinals' career list with 148 wins and second with 1,623 strikeouts. He was the closer for the Cardinals' World Series championship team in 2006. St. Louis also won a title in 2011, but Wainwright did not pitch that year.